YANKEE GREAT!!! You will get no arguments from elite enthusiasts regarding Mickey Mantle's supreme status as the king of the post WWII card market. 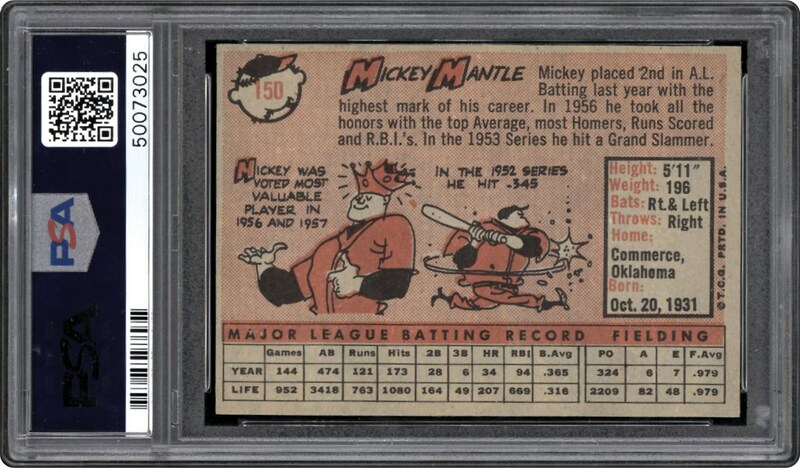 His 1952 Topps rookie card has unquestionably elevated him to unparalleled prestige with hobbyists scrambling to obtain his most eclectic cardboard artifacts from the 1950's. 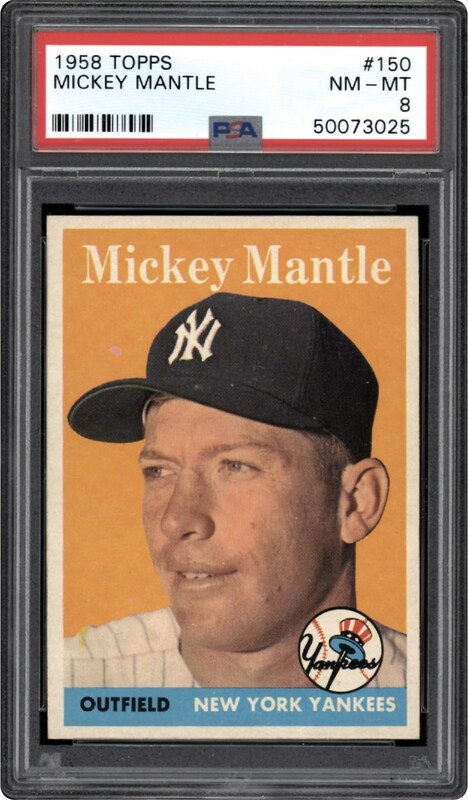 One of those highly sought after collectibles is Mantle's 1958 Topps card presented here in a stunning PSA NM-MT 8 holder. Looks better than the offered grade. Upgrade your Mantle collection with this one!! !